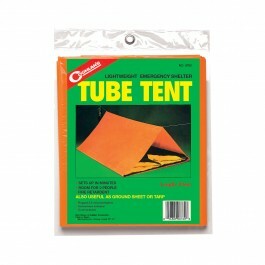 The Coghlan's Tube Tent is a nice quick shelter that can be set up in 2 minutes. The best part, no tent poles needed. All you need is to string the provided cord between two trees and you are all set. 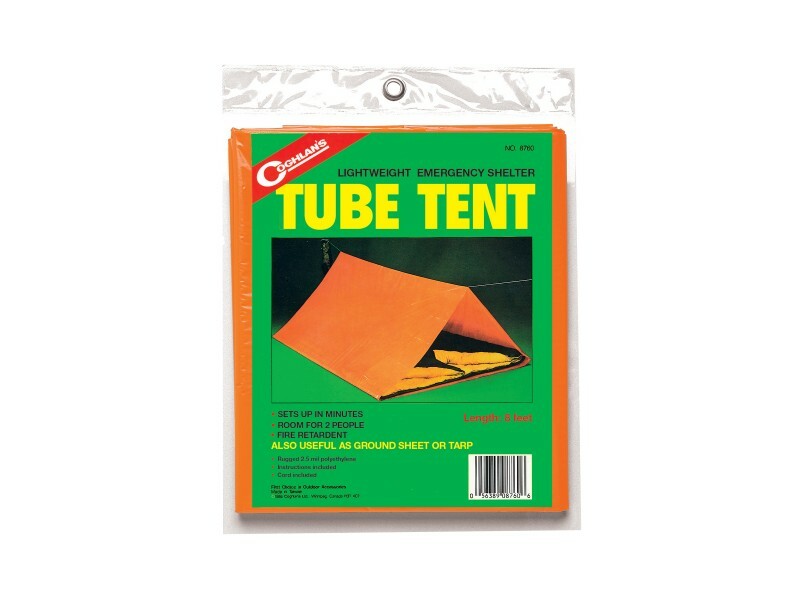 Coghlan's Tube Tent is made from a durable 2.5mm polyethylene. 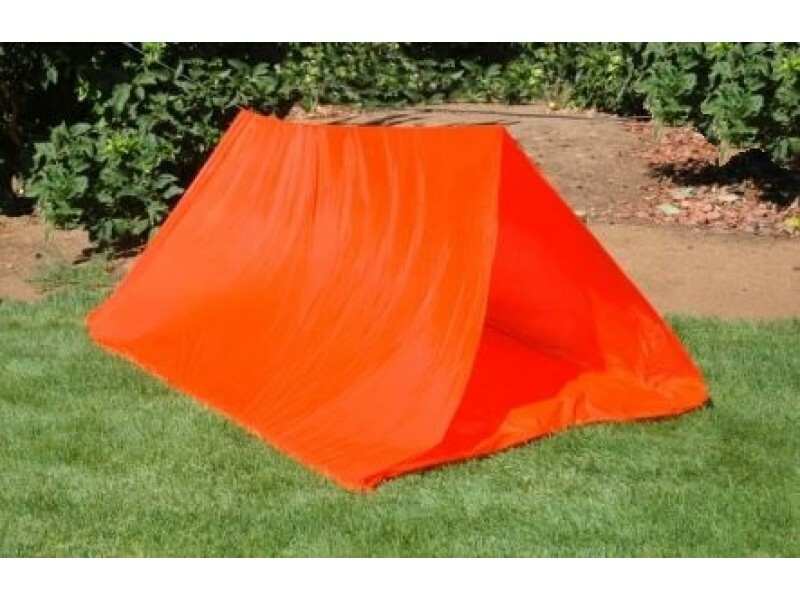 This tube tent is multi functional as it not only can be used as a tent but can be used as a ground sheet or tarp. 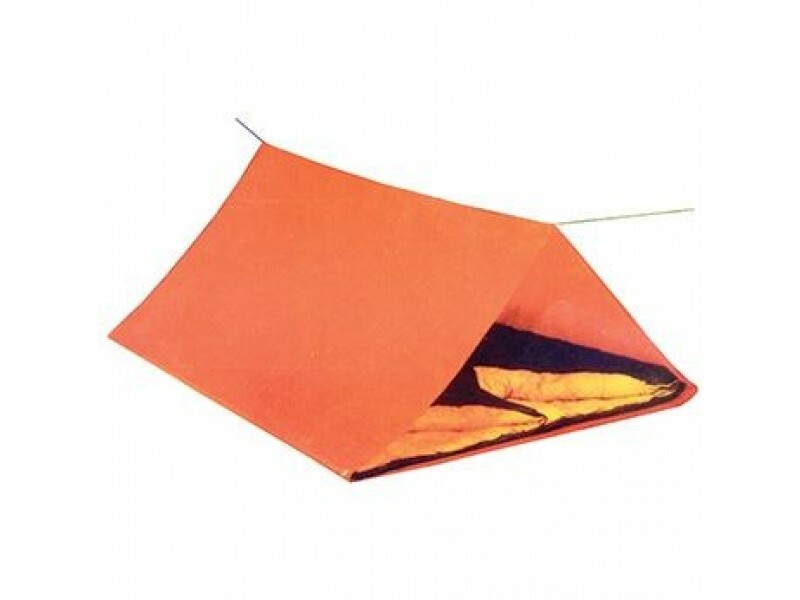 It is a blaze orange color that makes the tent visible from a distance.